For all the good they do, eye drops and ointments have one major drawback: It's hard to tell how much of the medication is actually getting to the eye. Now in a study appearing in ACS Applied Materials & Interfaces, scientists report that they have developed a contact lens that changes color as drugs are released. This visual indicator could help eye doctors and patients readily determine whether these medications are where they should be. Eyes are adept at keeping things out. When something ventures into or toward an eye, the lids blink and tears start rapidly flowing to avoid infection and damage from foreign objects. These processes are usually helpful, but they can hinder the uptake of much-needed medications. Studies suggest that less than 5 percent of drugs in eye drops and ointments are absorbed, and much of the absorbed medication ends up in the bloodstream instead of the eye, causing side effects. Contact lenses may be a more effective way to deliver drugs directly to the eye, but real-time monitoring of drug release is still a challenge. So Dawei Deng and Zhouying Xie sought to create a drug-delivering contact lens that would change color as the medication is released into the eye. 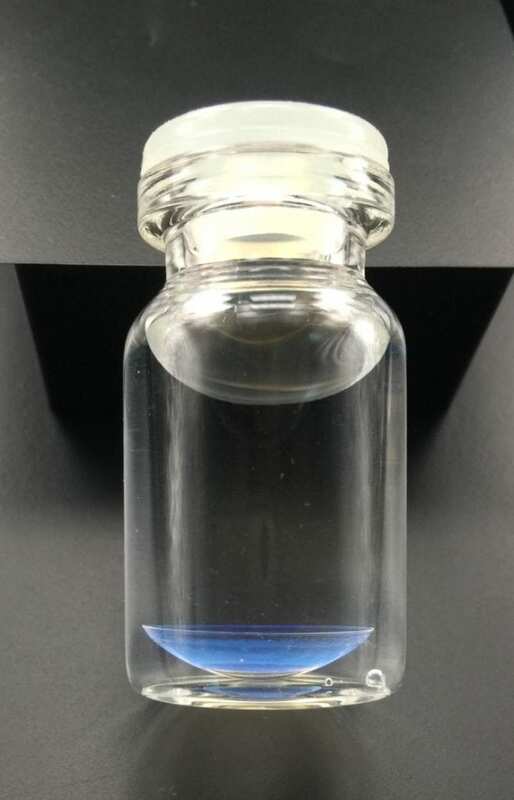 The researchers fabricated a color-sensitive contact lens using molecular imprinting, a technique that creates molecular cavities in a polymer structure that match the size and shape of a specific compound, such as a medicine. In laboratory experiments, the molecularly imprinted contact lenses were loaded with timolol, a drug used to treat glaucoma. Then, the team exposed the lenses to a solution of artificial tears, which was used as a stand-in for the eye. As the drug was released from the contacts, the architecture of the molecules near the drug changed, which also changed the color in the iris area of the lenses. No dye was involved in the process, reducing possible side effects. The researchers could see this shift with the naked eye and with a fiber optic spectrometer. They conclude this new lens could control and indicate the sustained release of many ophthalmic drugs. The authors acknowledge funding from the National Key Research and Development Program of China, the Natural Science Foundation of Jiangsu Province, the National Natural Science Foundation, the Fundamental Research Funds for the Central Universities, and the Program for New Century Excellent Talents in University of the Ministry of Education of China. The American Chemical Society, the world's largest scientific society, is a not-for-profit organization chartered by the U.S. Congress. ACS is a global leader in providing access to chemistry related information and research through its multiple databases, peer-reviewed journals and scientific conferences. ACS does not conduct research, but publishes and publicizes peer-reviewed scientific studies. Its main offices are in Washington, D.C. and Columbus, Ohio. What causes nuclear waste glass to dissolve?